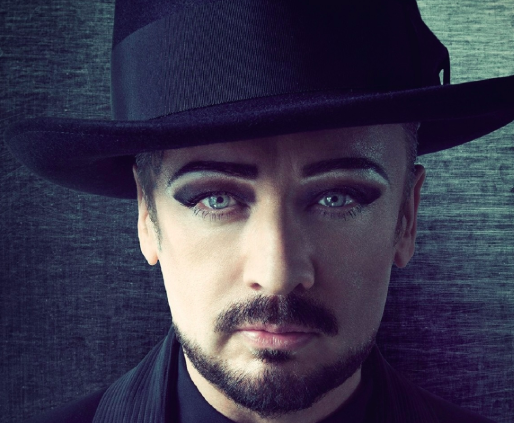 I was impressed by the recent ‘Who Do You Think You Are’ TV programme featuring Boy George, and his pride in his republican connection. I wasn’t impressed by those Irish historians seen briefing him. The fact that the Irish electorate had voted in 1918 endorsing the aims of the 1916 insurgents and mandated Sinn Fein to set up a Republic forthwith was not addressed. THE TIMES of London conceded that all sides regarded the 1918 Election as a plebiscite, and those whom THE TIMES championed had lost. Thus Kevin Barry, Thomas Bryan and other Republicans hanged in 1920 an 1921 were the soldiers of a democratically established Republic, defending its citizens and their institutions from a usurping militarist Empire. This matter was not addressed. The IRA were NOT REBELS and they WERE NOT TRAITORS. Nor were they CONSPIRATORS preparing to attack POLICEMEN, as “THE IRISH SUN” described them. The Royal Irish Constabulary were never civilians but were armed from their inauguration by Robert Peel. They corresponded to Gendarmerie in France. Peel wanted similar forces in England, but the English would not accept such Continental forces in their midst. In March 1919 in the House of Commons, the Chief Secretary for Ireland, explained why he RIC could not join the Union of Police and Prison Officers with its London HQ. The RIC was “a semi-military force” with functions similar to “Army and Naval” forces. The force which Thomas Bryan was preparing to attack was not the RIC founded by Peel, but a terrorist force established by Winston Churchill, who hand-picked a thug, General Tudor, to lead it. They were all Army Officer veterans of the Great War, officially described as Police Cadets, as if they were beardless virgins just out of school. They were proud of their outrages, murdering men, women and children, burning houses and farms villages and the centre of Cork. They swaggered about with burnt corks in their Glengarry caps. 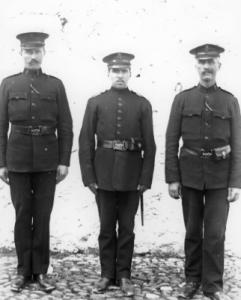 General Tudor, visiting the RIC Barracks in Listowel, with his sidekick Colonel Smyth. In 1920, explained to the Regular RIC garrison how he wanted it to behave in the future. It is a very interesting story. Feargal Keane, whose people were from Listowel has written about the RIC and about Listowel. But, so far he has not related the story of the RIC “mutiny” in Listowel. Keane, like Professor Diarmuid Ferriter and most commentators of their generation are poor guides to the history of policing under the Crown in Ireland.